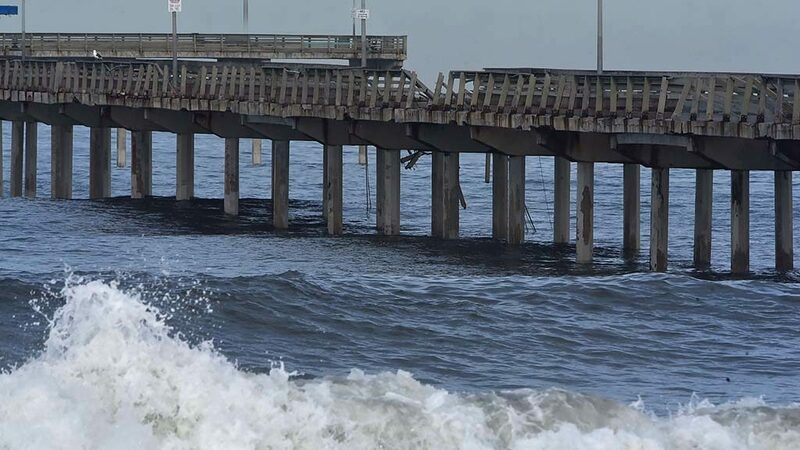 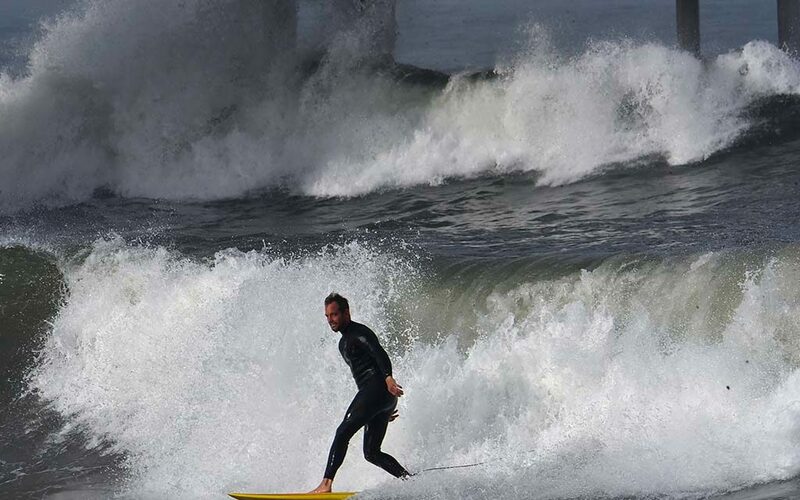 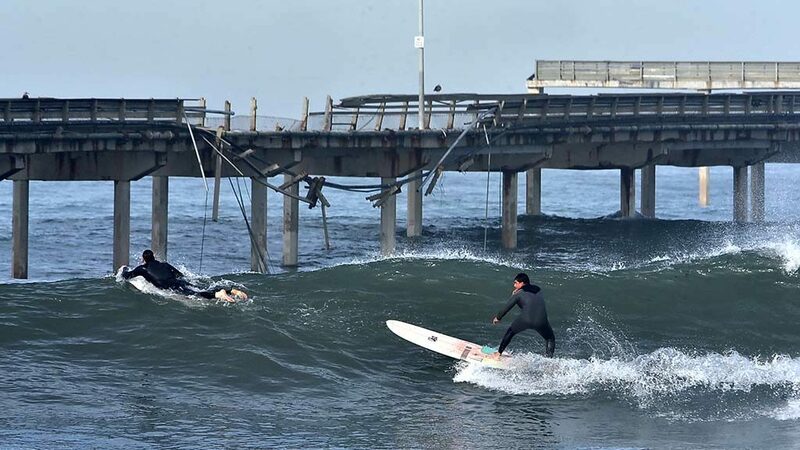 The Ocean Beach Pier was still closed for human traffic Sunday, but the roiling waters drew at least a dozen hearty surfers amid a king tide. 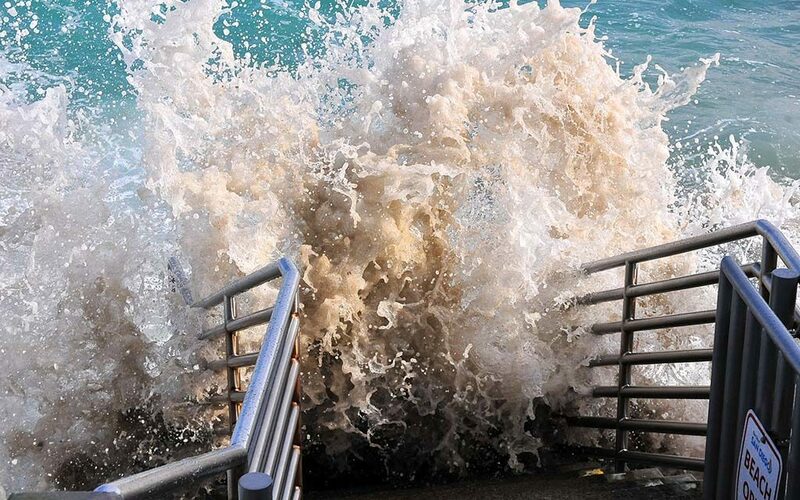 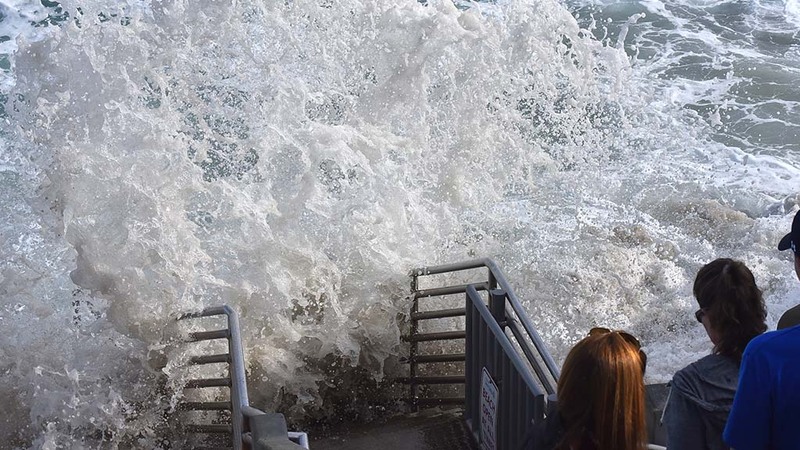 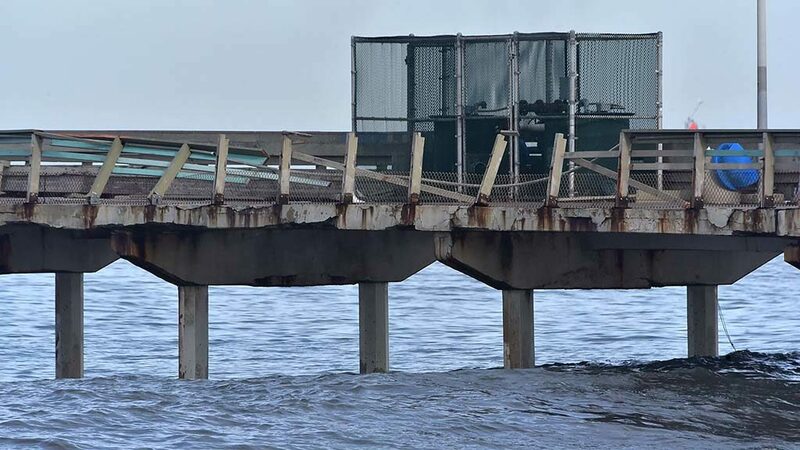 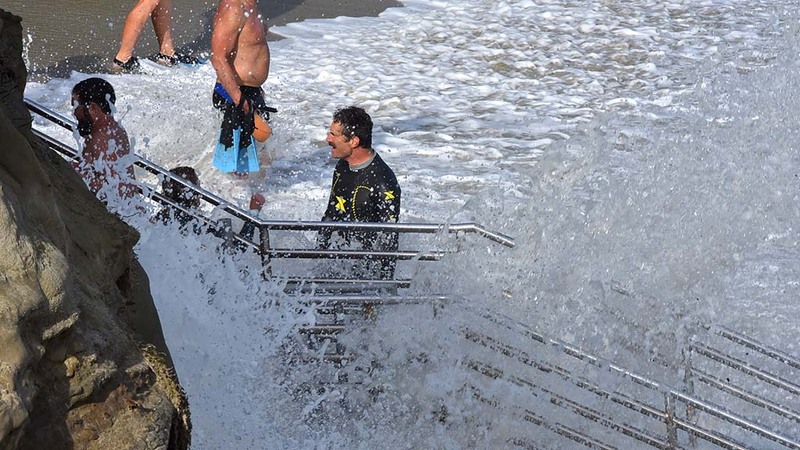 Both sides of the pier’s railing were peeled away by pounding 10- to 12-foot waves Friday, and expected 5- or 6-foot waves on top of the 7-foot tide made for spectacular scenery two days later. 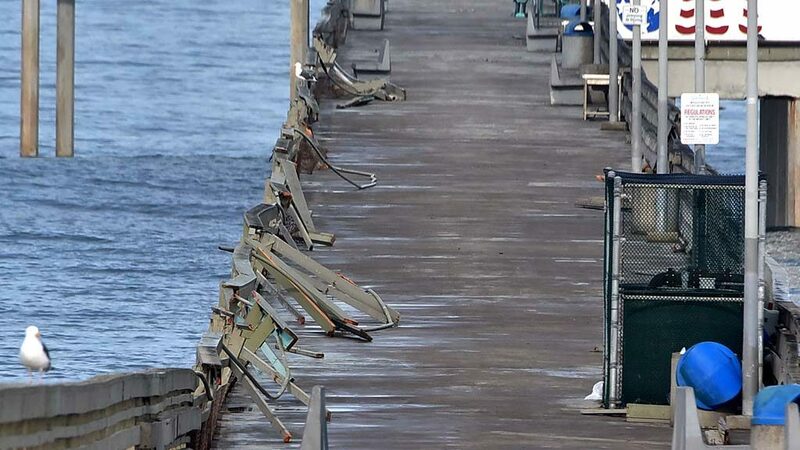 An estimated 200 feet of railing and planks has been reported damaged. 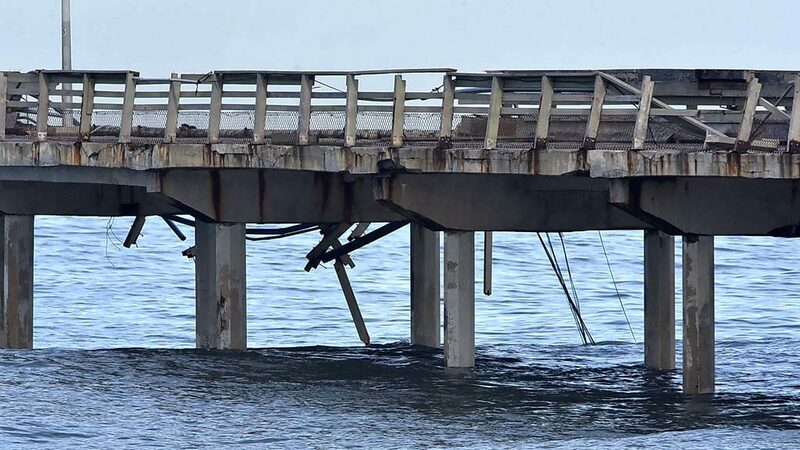 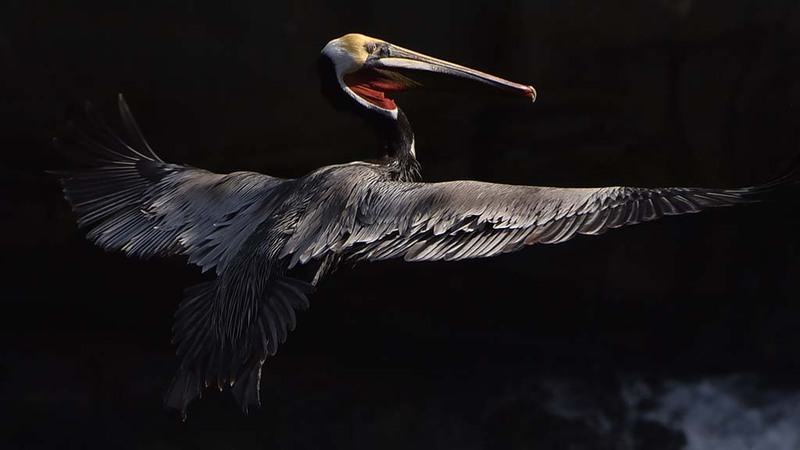 San Diego city officials say the pier was expected to be closed for several weeks. 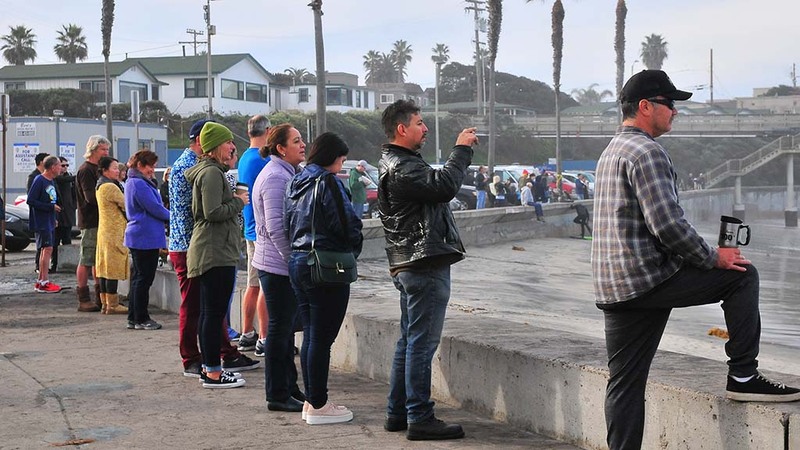 But people repaired to the Ocean Beach seawall to watch the surf action, gathering at high tide at 7:54 a.m. Sunday. 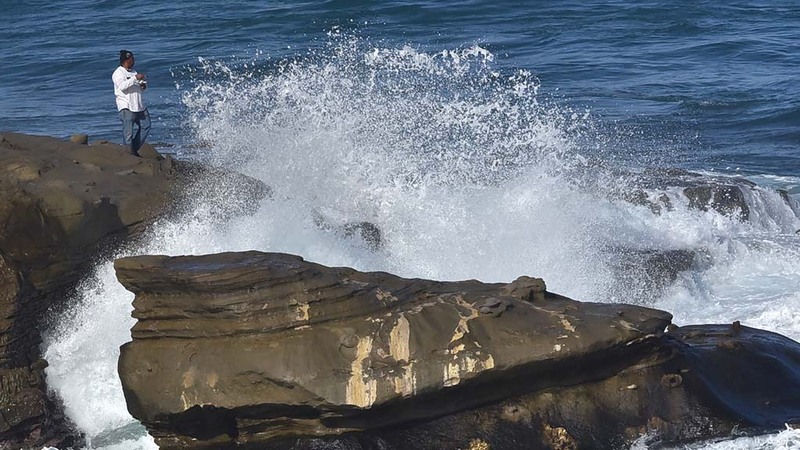 The big surf also drew many sightseers to La Jolla Cove.